Hearing aids can do wonders for hearing issues, whether it's because of congenital issues or age. Unsurprisingly, not all hearing aids are created equally. Additionally, not all of them may be appropriate for the issues surrounding hearing loss. Here’s a look at which types of hearing aids may be appropriate for you, leading brands of hearing aids, and some of the best-reviewed hearing aids available through retail stores under $1,000. It is important to realize that just because a hearing device receives high reviews from someone else does not mean it is going to be the best hearing aid for you. Hearing aids that work well for older individuals with mild hearing loss are not going to be appropriate for someone who is profoundly deaf. Understanding how they work can help explain this concept. Hearing aids are largely digital, run by battery power. They collect the noise around you, analyze it, and adjust it to your particular needs (i.e. how much louder you need it to be). They then send the adjusted sound waves back out in your ear. Newer models of hearing aids are significantly smaller so they are less conspicuous. However, this often means they do not have the same power that larger versions can have. This also means they may not be as helpful depending on your needs. There are six different types of hearing aids. Some are more appropriate for mild to moderate hearing loss. These include "completely in the canal" (CIC), "in the canal" (ITC), and "open fit" models. For mild to severe hearing loss, "in the ear" (ITE) is considered best. "Behind the ear" (BTE) and "receiver in the canal or ear" (RTC/RITE) models can address most levels of hearing loss. 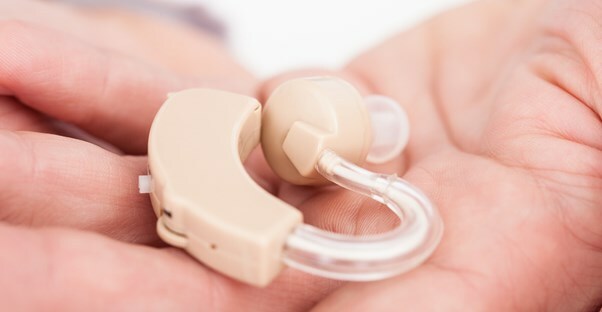 The leading brands of hearing aids currently on the market are Oticon, Phonak, ReSound, Siemens, Starkey, and Widex, although these brands tend to have other, smaller subsidiaries. According to clinician Ron Ragsdale on New Sound Hearing Network, each of these brands makes great hearing aids. Your hearing clinician may have a preference, as many clinicians will, based on how well they see each type of aid working for different patients. While one brand might work really well for mild hearing loss, another might be much better at managing more severe loss. Additionally, having an expert to guide you may be more effective than shopping on your own, particularly if you’re experiencing a high level of hearing loss. Unfortunately, purchasing hearing aids through your clinician can be really expensive, particularly as some insurances, such as Medicare, do not cover hearing costs. Do be aware that some hearing aids come singly. If you need an aid for each ear, look for pair deals! Sam’s Club offers the GHI Simplicity Premier OTE hearing aid pair for $720. They are most appropriate for less severe hearing loss, but the return policy at Sam’s (combined with hearing exams available on-site) make it much easier to find a pair you like without a lot of fuss. The MDHearingAid Pro behind the ear ($300) and Air behind the ear ($800 for a pair) also come highly rated. MDHearingAid is a retailer specifically of hearing devices, which means you many options for extra accessories and additional help when you purchase from them, as opposed to a chain department store. If you aren’t sure how severe your hearing loss is or what kind of hearing aid will be most appropriate for you, speak with an audiologist before you start the process.